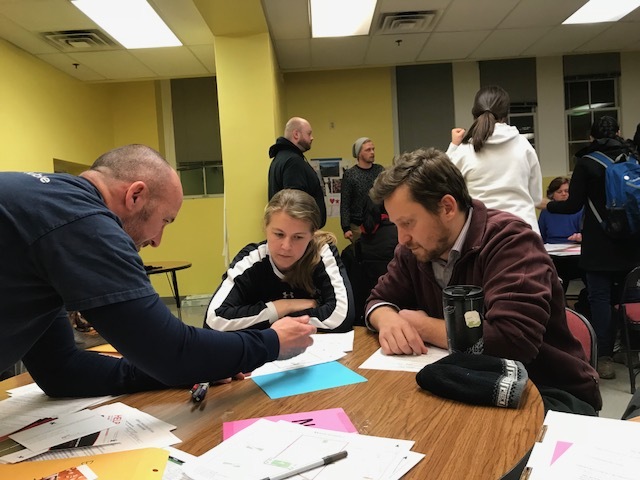 In January of this year, HAND’s Braintrust Committee volunteered for DC’s 2018 Point in Time (PIT) count. The count is conducted annually by the Community Partnership for the Prevention of Homelessness (TCP), on behalf of the District, in accordance with U.S. Department of Housing & Urban Development’s (HUD) reporting standards to get a sense of the number and demographic characteristics of adults and children experiencing homelessness at a given time. This year, a total of 6,904 persons experiencing homelessness were counted. This a 7.6 percent decrease from the 2017 count, which was driven by a nearly 21 percent decrease in families experiencing homelessness from year to year. For more detailed information on the count in the District, please visit http://www.community-partnership.org/facts-and-figures. TCP conducts its PIT count in conjunction with the neighboring jurisdictions in partnership with the Metropolitan Washington Council of Governments (MWCOG). MWCOG has also released its report on homelessness in the region, which can be found here. HAND thanks the its Braintrust members for their participation!